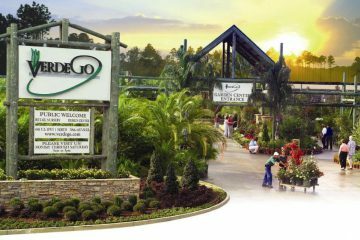 At VerdeGo, we want you to 'Experience Landscaping!' 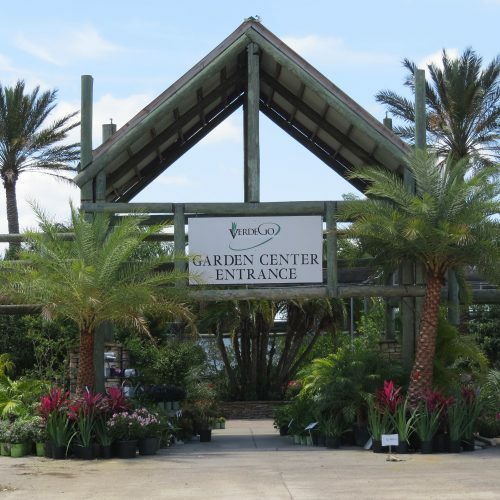 We are your premier Garden Center and one-stop-shop for all things outdoors. 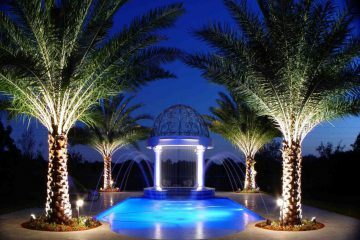 We specialize in: Landscape Design & Installation, Maintenance, Specimen Palms & Trees, Pavers, Retaining Walls, Firepits, Water Features, Pergolas, Irrigation Systems, Exterior Lighting & more! 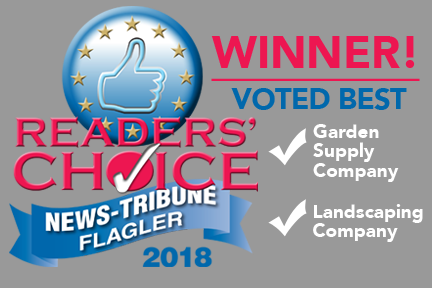 Our garden center is like no other. Come take a stroll thru beautiful walkways filled with plants, fountains, pottery and more! We specialize in landscape design & installation. New construction, re-design, commercial, and maintenance. We make sure your landscape is looking its best! 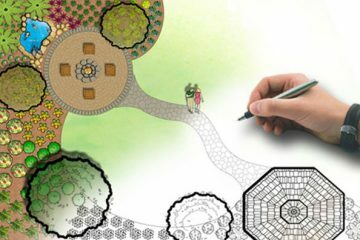 We have FNGLA Certified Landscape Designers on staff that are ready to help you design your perfect landscape. Full-color, scaled designs available! 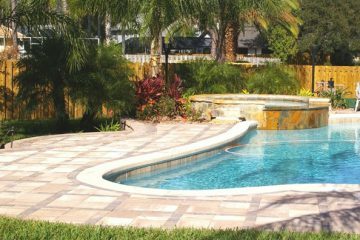 Professional hardscape installation including: Pavers, fire pits, pergolas, retaining walls, pool decks, driveways, natural stone, water features, travertine and more! No project is too big! 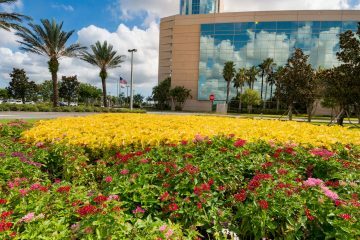 We install and maintain commercial landscapes all over North Florida. Give your company the 'Wow!' curb appeal it deserves. 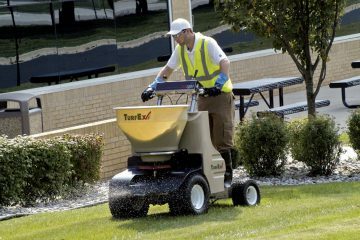 Don't have time to maintain your landscape? Let us do it for you! We specialize in commercial and residential landscape maintenance. Mowing, trimming & more! 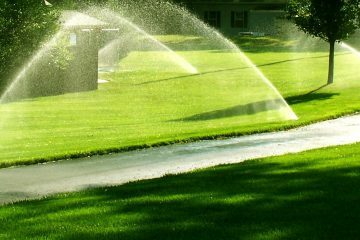 Our trained irrigation professionals will make sure you plants are getting the correct amount water while working to conserve water at the same time. Enjoy your landscape and outdoor features at night with professional exterior landscape lighting! House and tree lighting, walkway and path lighting and more! Looking for examples of our work? We've hand picked a few featured projects for you! Looking for more? View our full portfolio by clicking the link below. 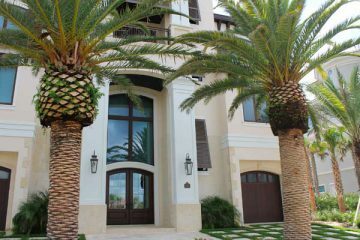 Since 2002, VerdeGo Landscape has proven itself to be a leader in both residential and commercial design and landscape. 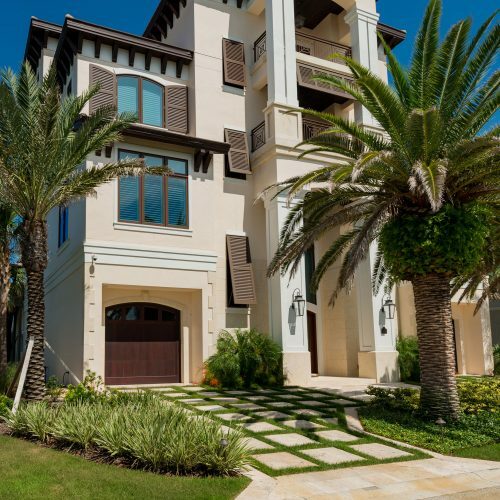 VerdeGo has a professional staff of designers, irrigation experts, hardscape craftsmen, lighting designers and installation crews, available for all your commercial & residential landscaping needs. VerdeGo can meet the needs of all commercial properties, homeowners associations, retail properties and municipalities. We are a FNGLA member company. Contact us using the form to schedule your no obligation consultation for your project. You'll discuss your needs with one of our design experts. 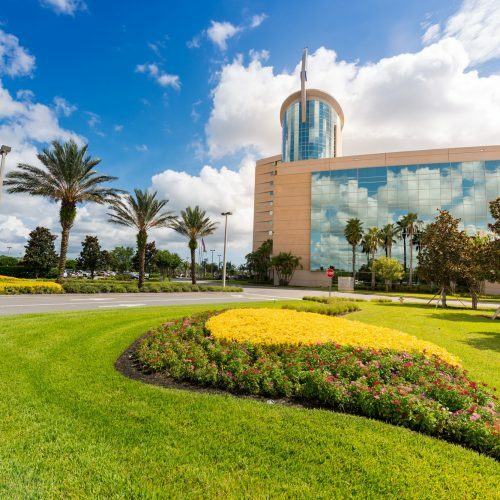 VerdeGo is a complete solution for your residential & commercial landscaping project. Visit us in person or give us a call today! My wife and I have been here many times and purchased several plants and other outdoor products. The atmosphere is great, the staff is helpful when you can find the right person and most prices are reasonable. I was amazed one trip as I found a chrome globe that I've been searching for a very long time! What a great surprise! We bought a cluster of mini date palms and they are thriving in our pool lanai area. VerdeGo is my "go to" place for all the right flowers and fertilizers that i need. And this spring they offered courses on flowers and butterflies. The staff is very helpful and the plants they sell are always healthy and i have never had a problem in many years. My yard is loaded with their plants and flowers, and has been for the past 7 years. Huge center, always have what i am looking for! And all their signs tell you whether they feel plants are "deer resistant" or not. That's a must for me! Great staff and great selection of garden materials and supplies. Carrie is extremely knowledgeable about all plants and offers great advice regarding placing of plant material. I love going to Verdego and absorbing all the knowledge I can to make my home more beautiful. Have been there several times. Staff is friendly and very informative. Good suggestions for plants for "the northern transplants". Easy access and unbelievable selections. Would highly recommend. Beautiful garden centers! So many colorful plants to choose from. It's hard to leave there without a trunk full. Got great service from the garden staff and grabbed some info on their designs services. The pavers and walls are amazing! I wish I had a larger yard to fit all your beautiful items. Will definitely be back! So glad i joined your club you have provided so much needed information and advice especially the new product for saving plants from freezing i lost 3-6? high hibicus bushes i had nursed to that height for over 3-4 years it broke my heart to dig them up and throw away thanks for all your info! Thank you once again, for a very timely newsletter. It is good to be reminded that during these freeze spells – cover, and after – be patient about cutting back. The folks at Verdego are great and always so helpful. The folks at VerdeGo are awesome and really know their stuff. I have been there numerous times asking for help of what plants would do best in certain areas of my yard and the advice they gave me was right on the mark. Everything they told me to plant has done very well…I couldn’t be more pleased. I had to write to exclaim how happy I am about my finished landscaping. The retaining wall is gorgeous as are the plantings. It is magazine worthy. P.S. John was terrific. Friendly, knowledgeable, helpful staff. Patient with any and all questions from green and brown thumbs (like us). Wow!!!!! The selection of plant material is awesome!